When you set off from half way along the south coast of England for Scotland you can either turn right or left, either way its a long old trip. We decided to go left about partly because we have rarely sailed the east coast of England and partly because the Skipper has had a long time desire to “do” the Caledonian Canal which runs from Inverness to Fort William. 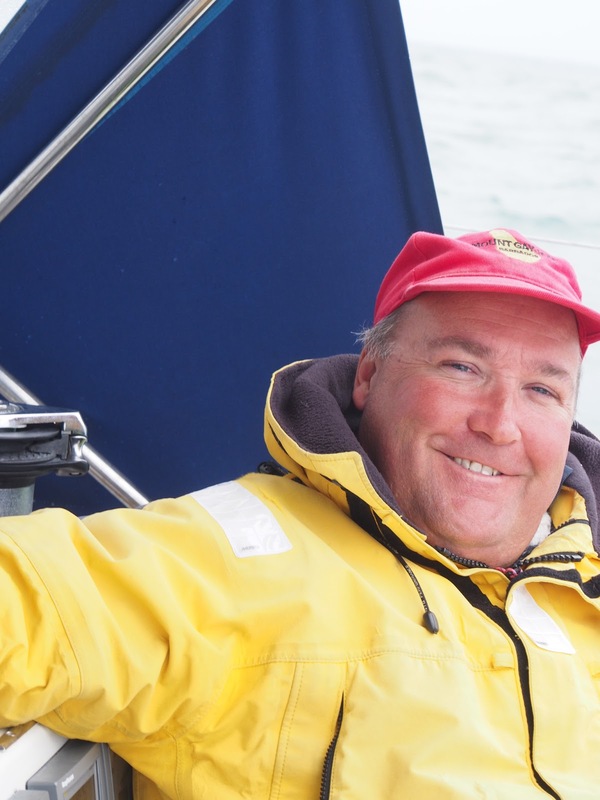 Inverness is a mere 620 nautical miles from Southsea, about as far as the course of a Fastnet Race, of which both of us have had plenty pf experience. At 6.5 knots (our usual passage planning speed) the entire trip should take around 96 hours or four days. Of course we never expected this passage to take just four days, there were places to see, contrary weather and possibly things that needed fixing enroute. 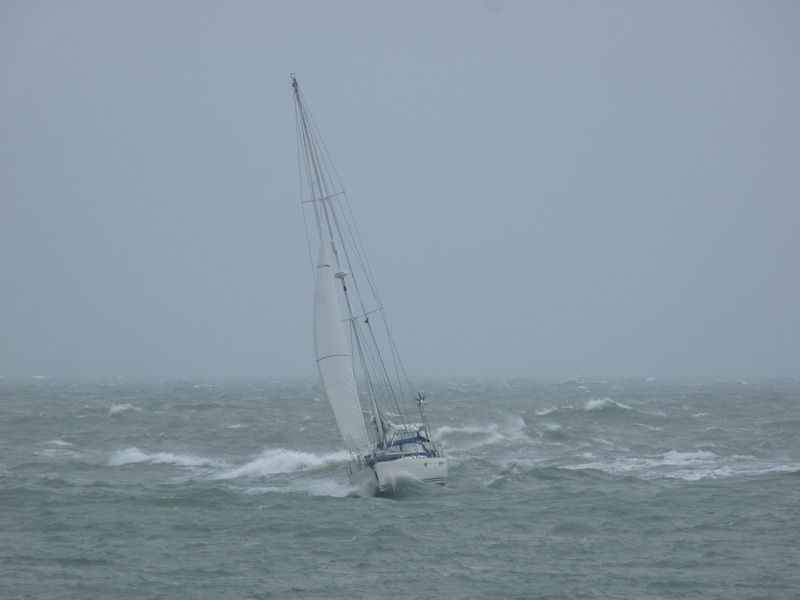 So having motored out of Langstone Harbour on a grey mid-morning on Wednesday 12 June to take the tide “up” the coast through the Looe Channel off Selsey Bill we soon found the wind building, not unpleasantly so and behind us. An hour or so later the batteries were fully charged and there was sufficient wind to make sailing faster than motoring so Temptress’ big genoa was partially unfurled. Broad reaching, almost running before the southwesterly wind the mainsail could have been a hindrance with the boom liable to swing around in the already lumpy seas and anyway it would not have increased our speed through the water much so was left tightly stowed on the boom. Boulder and Street sound like a business founded by two elderly Victorian gentlemen but are in fact respectively starboard and port hand channel markers, one green, one red. The magic of navigation is that a yachtsman can locate this lonely pair in the tumbling seas a few miles south of Selsey Bill and take a short cut through the rocky reef that extends out south and east from the Bill itself. Familiar to all who regularly sail from Brighton to the Solent and back, they are responsible in part for my (Susie) love of the skill of navigation and I’m always thrilled to spot them when on passage this way. 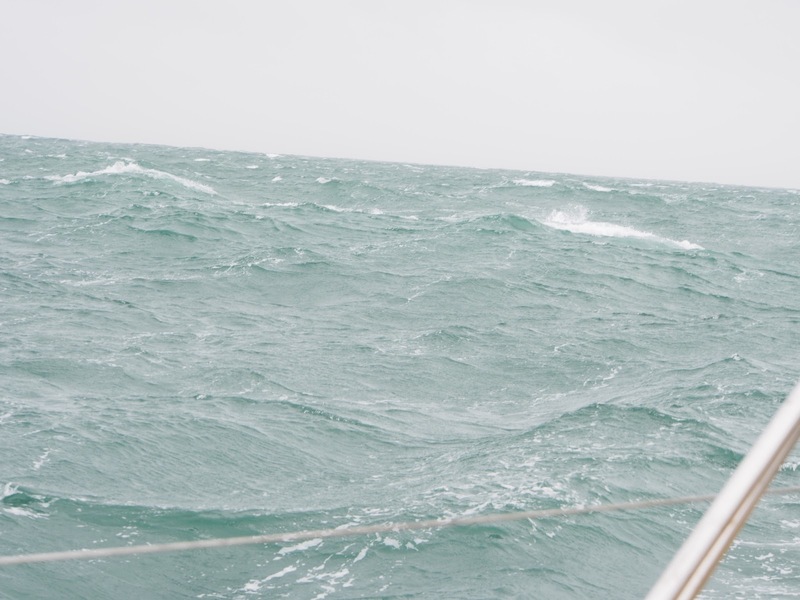 An hour of sailing and we were reduced to motoring again for a couple of hours to make progress in the moderate seas. Lunch was eaten (homemade pea soup) and the wind started to build. The leaden skies told of rain to come and it did. By the 16:30 coastguard weather broadcast the wind was either blowing old boots or the square root of nothing. The cheery man at Solent CG read out a list for our area where the “perhaps gale eight later” from the morning forecast had become a definite gale warning and “perhaps severe gale nine”. Did we want a night at sea in that? Nope, not if we had a choice! 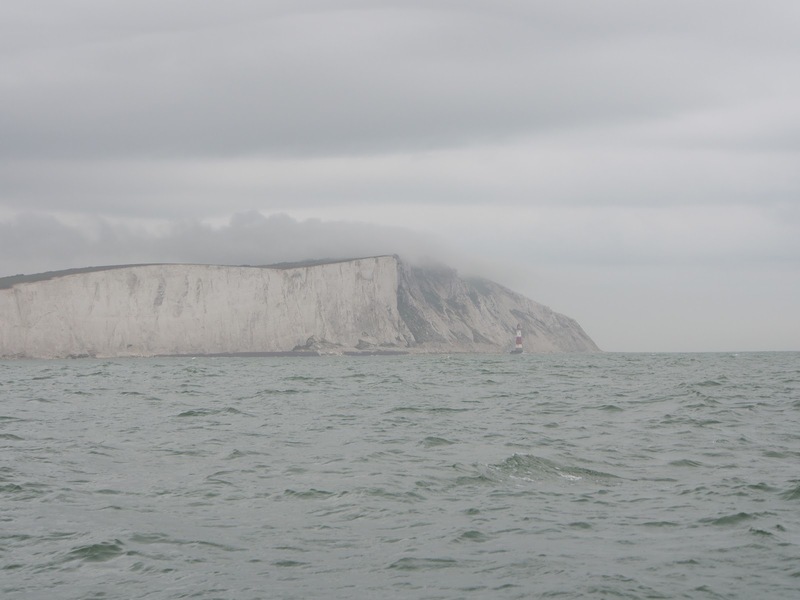 Beachy Head was appearing in the murk, the sun even tried to put in an appearance late in the day and then came torrential rain. Eastbourne’s Sovereign Harbour looked increasingly inviting so we altered course for there. It blew hard over night but didn’t exactly blow through, the wet and windy weather remained in the forecast as Atlantic lows did their stuff to the east of the UK moving slowly north and east trailing weather fronts over the whole country. The tide turned east about 09:30 so thirty minutes before that Temptress was in the lock waiting to depart. The only occupant except for the empty rib used by the RNLI to reach the lifeboat moored outside. The 06:00 am inshore forecast for North Foreland to Selsey Bill I’d noted down as “SW5/6 inc 7/8 for time per 9 in E, fair ltr”. We decided to carry on regardless, our planned course was downwind, with the tide, close into the coast and the coastal forecast was for much less wind more fours and fives increasing sixes and sevens perhaps gale eight later. Lowestoft was our ideal goal but Dover would be a good refuge if needed. 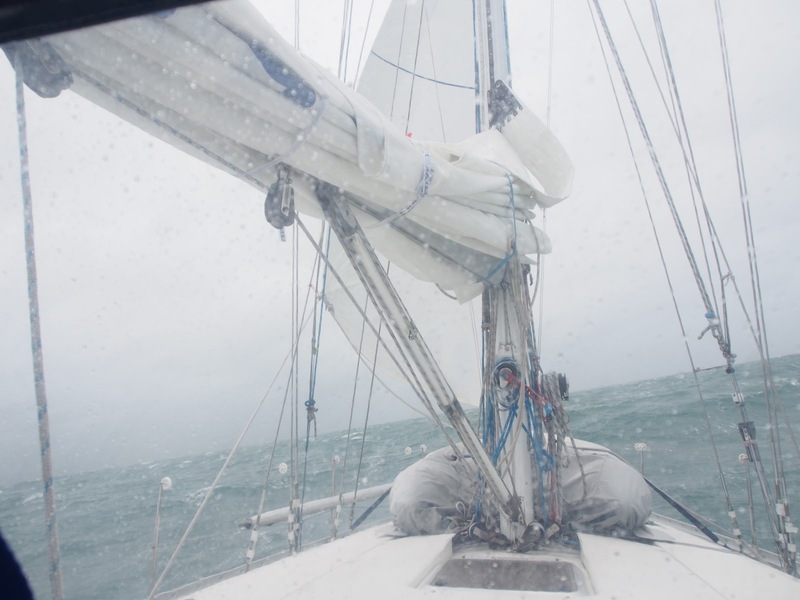 Gale warnings for almost the whole south coast and the Thames Estuary were issued during the course of the morning and by lunchtime we’d decided tackling the channel inside the banks of the Goodwin Sands and across the mouth of the Thames in the dark and a gale was not good seamanship. We set a course for Dover. 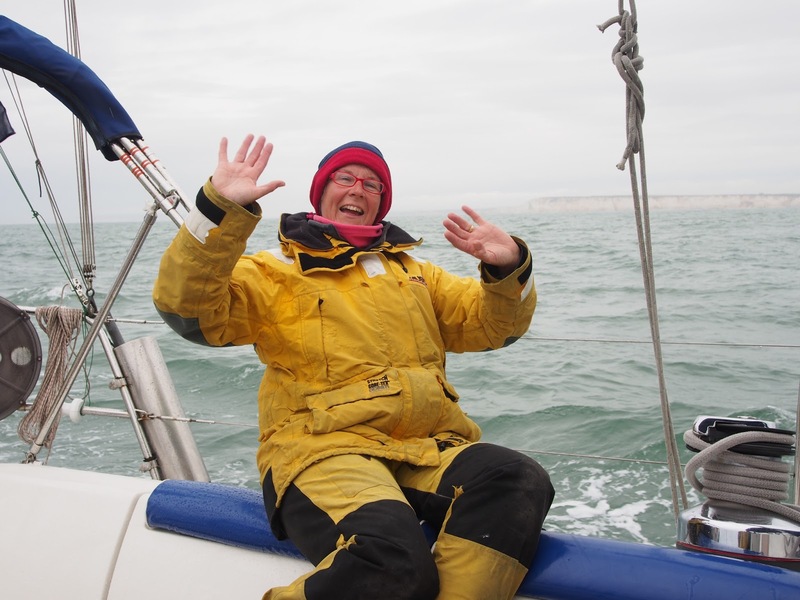 At some point, whilst the First Mate was down below on hands and knees by the companionway steps retrieving a tin plate from a locker to use serving our porkpie lunch, there was a huge roar followed by a lot of seawater tumbling down on top of her. Shaken and soaked she scrambled up the steps to see the Skipper still gripping the helm grinning hugely, he’d been up to his knees in water as the cockpit was filled by a rogue wave that broke into the boat from behind. Temptress had been pooped for only the second time in our ownership, in much the same conditions as the first time back in 2001 off the Portuguese coast. The aft heads was drowned as water flooded in through the open porthole set low in the forward edge of the cockpit. We congratulated ourselves on having the foresight to move the drying laundry to the forward heads be setting off. The water poured away through the large drainholes at rear of the cockpit almost as quickly as it had entered. The shower pump dealt with the water in the heads and the saloon floor could be mopped with fresh water when we were in port, it needed a wash anyway! The evidence of the breaking waves around us told us it was very windy probably blowing a gale but the boat’s anemometer firmly maxed at 20 or occasionally 22 knots but mostly it indicated wind speeds down in the high teens. Puzzled we’d look up and see the little plastic cups at the top of the mast almost stop or reverse as the waves caused Temptress to screw her way forward. Eventually we had to gybe to make the harbour entrance. 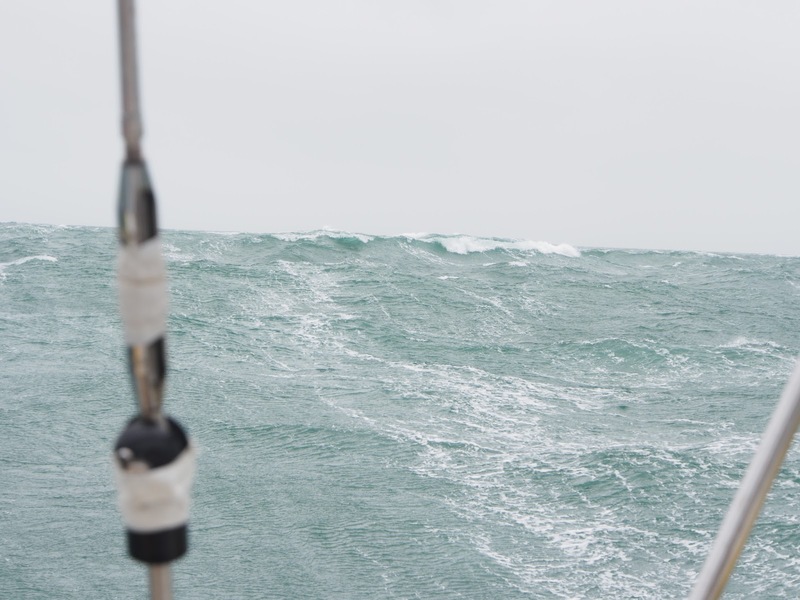 With the south westerly wind and waves now fine on our port quarter the wind instrument produced readings closer to the visual evidence of the sea state, F7 (around 60 km/hr) touching Gale 8 (around 70 km/hr). The erroneous readings on the other tack must have been the result of the wind spilling up from the billowing jib reaching the offset anemometer. You can’t just enter one of the busiest ferry ports in the world, first you have to call from 2 miles out to ask permission to enter stating which entrance you intend to use, either the South (the more westerly one) or the Eastern entrance. The latter is used by a near continuous stream of cross channel ferries. The former by cruise ships. Both entrances are easy to spot from a distance even on a miserable grey day due to the large white light tower atop each of the pierheads. Dover Port Control said to call again 500m from the entrance so knowing we’d be busy handing sails and starting the engine the handheld VHF joined us in the cockpit and in fetching it the companionway hatch got left ajar. Waves, if you did any basic physics at school reflect off things to either cancel one another out as they meet up or double the size of the incoming wave. The sea off Dover yesterday was a life sized illustration of this,two metre wave heights suddenly becoming three or even four metres and when they met at odd angles due to the cliffs and the harbour walls running out into the sea at not quite 90 degrees to the south westerly wave train, great pyramids of water would rise up and break noisily around us. The approach to Dover was going to be wet and confused. With the tide rushing eastwards up the Channel the Skipper had to head the boat more and more northerly to ensure we reached the harbour at the gap between the walls and didn’t miss it completely or end up pinned on the eastern arm. Effectively he was ferrygliding 12 tonnes of plastic and mast under sail and engine into the safety of Dover using wind and tide to slide the boat sideways through the water. The First Mate ground in the sheet to trim the jib as we hardened up to almost beating. Confused piles of grey English Channel rose up and broke on either side of the bow simultaneously, tumbling down the side decks, under the false deck on the cabin top and entered the cockpit by any means they could. Large quantities of grey wet stuff found its way onto and into the boat in the final few hundred metres of our approach. Then suddenly apart from a large swell it was over, the calm waters of the harbour were reached and the wind could whistle all it liked in the rigging, we and our boat were safe. Quickly the jib was furled away and the engine took over. The little VHF radio, binoculars and the crew were soaked as was the floor at the bottom of the companionway again and later we discovered that down below our once almost dry laundry wasn’t much better as water crashing over the deck had found its way in through the airvent in the forward heads hatch. Ah well we’ll treat ourselves to a session in a laundrette somewhere further up the coast. 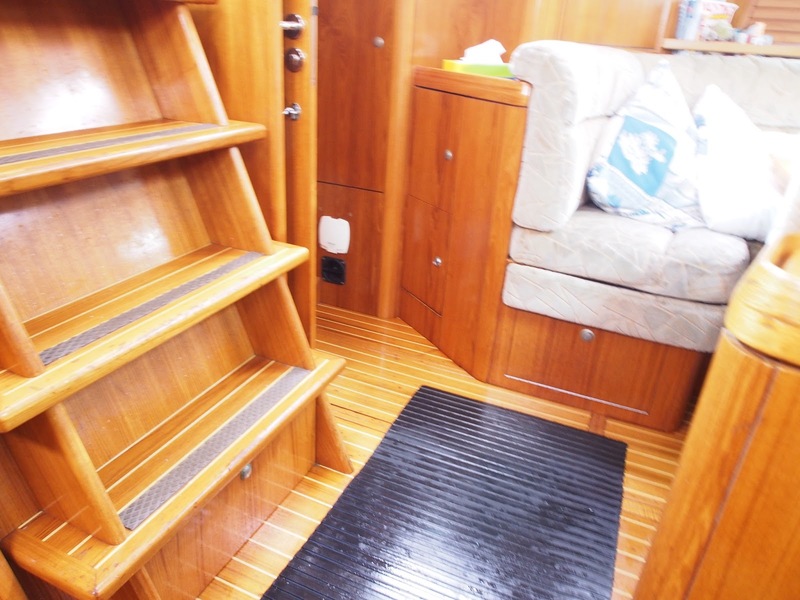 Next time too we’ll try to remember to put the plug in the heads airvent before we sail and perhaps even close the companionway hatch properly even putting the single 6 inch high washboard in place to seal up the saloon before tackling our next rough port entry. For the one thing that is certain June 13’s dramatic entrance to Dover will not be the last we’ll experience. For now though the forecast has improved and we await a fair tide northwards. North? Yes we’ve made the eastern corner of England, from here on our course is mostly northwards to Rattray Head when we’ll turn west and then a bit south towards Inverness.